Almost all businesses strive to offer superior customers service. However, not all of them succeed in this. 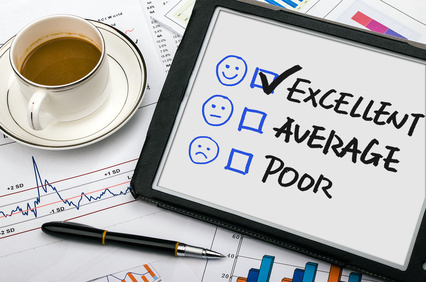 There are certain factors that negatively affect customer service quality and do not allow companies to reward their customers with exceptional customer service. Before I start talking about these factors I’d like to ask, do you know what customer service means? Let’s see what customer service experts say about customer service. And now answer yourself. What does customer service mean to you and your business? The quality of the service you deliver and your objective will depend on your answer…..
No matter whether you assist your customers in live chat, by phone or offer only email support, your customers expect you to provide great customer service. Furthermore, when they get automated email replies, stumble upon your auto responder or no one accepts their chat requests they think you do not care and your business is either dead or close to this. In fact it’s really easy to deal with this situation. For phone support indicate hours when you are available to assist your customers. For email support try to minimize the usage of automated responses. Instead, let your customer know how long it will take you to handle their emails. In live chat never miss chat requests when you are online. If you are not available to assist your customers, turn the live chat off and offer your website visitors a possibility to leave you a message. If your team members are not ready to start assisting your customers, improve their training. Ensure that they will deliver superior customer experience and will take the responsibility for handling issues of your customers. Low customers service quality, slow responses and inability to resolve issues will do more harm than good. Sometimes I feel that I am talking to a robot while interacting with a customer service representative. Your customers expect a friendly approach. They will feel disappointed if your customer service agent starts sending canned responses or does not recognize customers who have been loyal to your company. Inability to ditch the script demonstrates low quality of customer service agents education. In addition to this it shows that they cannot take responsibility and provide personalized customer experience. I call the “3 R” rule an ability of a company to take responsibility, treat customers with respect and offer fast resolution of issues. However, if your company does not follow at least one of these rules, your business may become among those ones that lost their customers and reputation due to low customer service quality. It costs five times as much to attract a new customer, than to keep an existing one. Check this infographic to see how important the true customer loyalty is. If you cannot keep your loyal customers, you will not be able to stay beyond competition. For this reason take more effort to reward those customers who have been staying with your company for a long time. In order to satisfy customers companies should keep up with the latest technological advances and always improve customer service and purchasing experience. However, if you miss out on this while your competitors don’t, your may lose those customers who get easily attracted by latest technological trends. On the other hand proper usage of technology will help you to improve your customer service quality level and facilitate your team’s workflow. Showing customers that your company cares is critical to keep them satisfied. On the other hand not listening to their opinion and demonstrating that you do not care makes people mad. Just let your customers know that you value their feedback and show what you do to improve their experience. Customers tend to share their experiences with companies on social media, both negative and positive ones. In the meantime other network members listen to them. This is called the word of mouth. If you monitor what your customers are saying about your brand and respond to their comments and feedback, they will definitely appreciate this. Moreover, they will share the positive experience they had with your company. If there is no collaboration within your team, there is no fast way to resolve those issues which require attention of different specialists. When the interaction between departments takes too long your customers will not wait and take a look at the offer of competitors. Too many complaints, multitasking and negative atmosphere can lower a person’s level of commitment and move their positive and helpful attitude to an apathetic one. In order to avoid such situations you need to plan your team schedule properly, avoid multitasking and motivate them with positive examples and quotations. Sometimes short meetings where you discuss all problems your team has faced will help to release the pressure and will give your employees an opportunity to discuss their ideas with you. You are welcome to share with our blog readers what you do in your company to improve your customer service quality level. This entry was posted in Articles and tagged customer service quality. Bookmark the permalink. In smaller companies it is harder to Not Multi-task on the Customer Support Lines. We answer phones, live chats, emails and video chats. However, with good team communication we find this can be done with a positive attitude. We have bi-weekly conference calls to talk about any issues, whether it be new equipment, issues with existing equipment or just to bring everyone up to date with new information and share client questions. Thank you for your comment, Karen. It’s great that you hold conferences where you discuss all important issues with your team. Social media activity really impacts on service. people prefer more on social media these days to know about products. Customer service is an integral factor in the success of any firm and it requires to deal with a lot of things to be done to build stronger customer relationship. Focus is needed to meet every customer need and ensure satisfaction. It is important to know and understands the meaning and how important customer service is. Be observant and consider these factors that would probably affect your quality customer service. You do not care about your customers’ needs.. Client satisfaction is the most important thing in business. Agile methodology will give great improvement for business needs.